Fall is around the corner! And with the cooler temperatures comes a renewed sense of creativity! I love to create projects and ideas during the coming months. 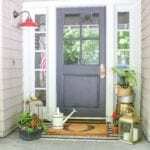 This year I wanted to find an easy fall craft project that wouldn’t be too time consuming. 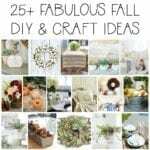 Today I’m excited to be joining a group of 25 other talented bloggers who are also sharing a Fall DIY or Craft project. 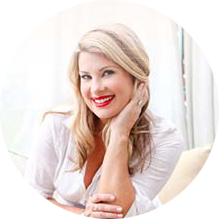 This fun tour is hosted by Krista, The Happy Housie! 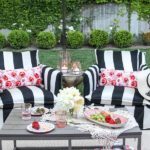 Be sure to visit the other amazing blogs that are listed at the bottom of this post! 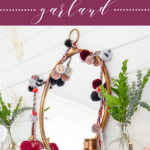 Last winter I made my DIY Pom Pom Garland for the holidays and I loved the result! So, this year I wanted to make another garland, but for fall. Last year’s version was white and simple. This time I decided to get a little more creative. I love the vibrant fall colors and braided strand! 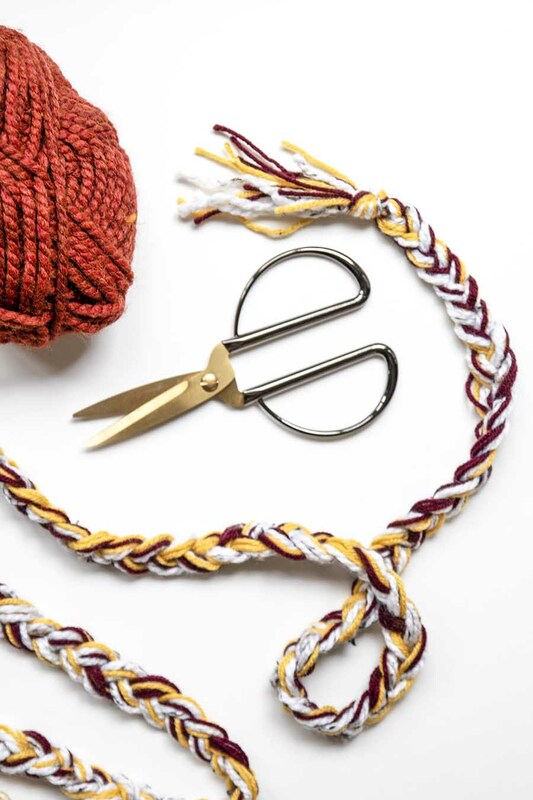 I can’t wait to show you how quick this easy fall craft project is! 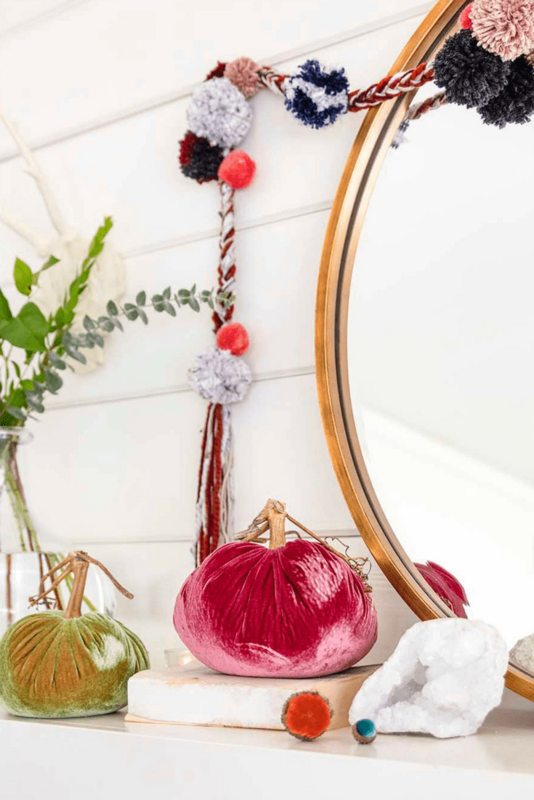 With minimal tools and not too much time, you can create your own garland worthy of a photo shoot! 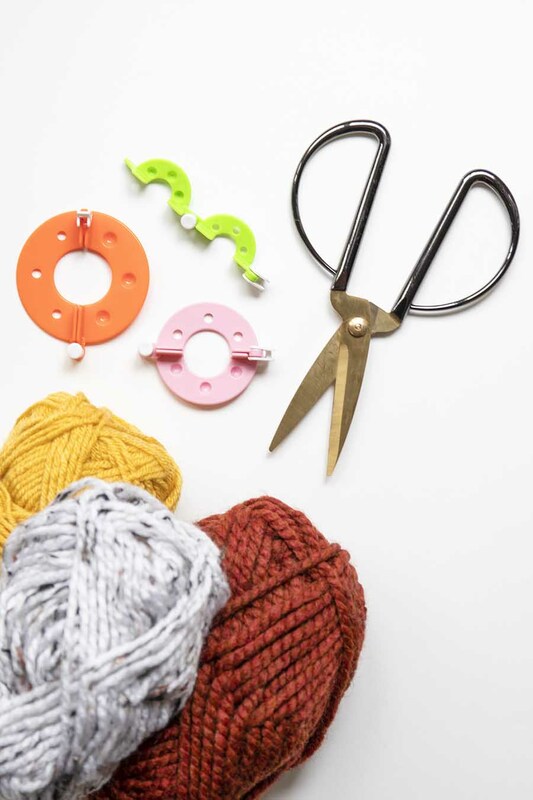 After you pick out your yarn colors, start by wrapping the pom pom makers in various colors and sizes. 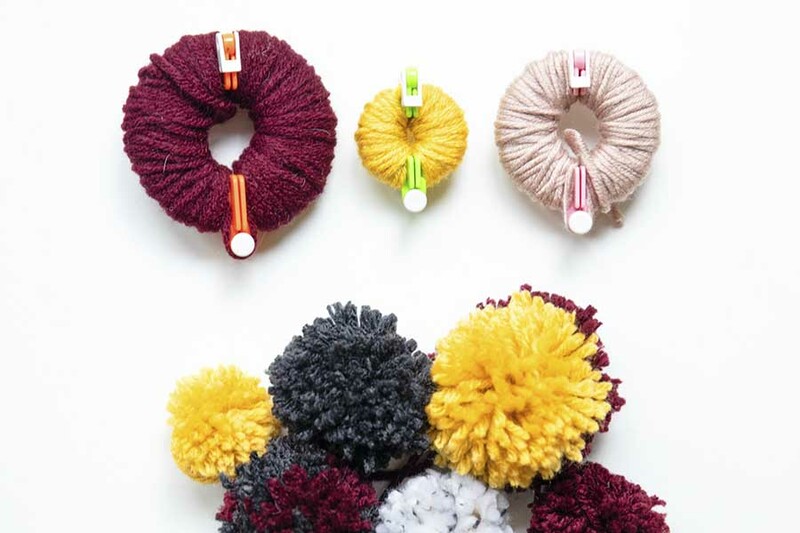 Feel free to mix the colors to make unique pom poms! You will need about 20-30 pom poms for a 6 foot garland. I used 6 medium, 9 small and 6 extra small pom poms. Next, cut 12-18 pieces of yarn about 8 feet long in various colors. Braid the strand together securing with a knot at each end. 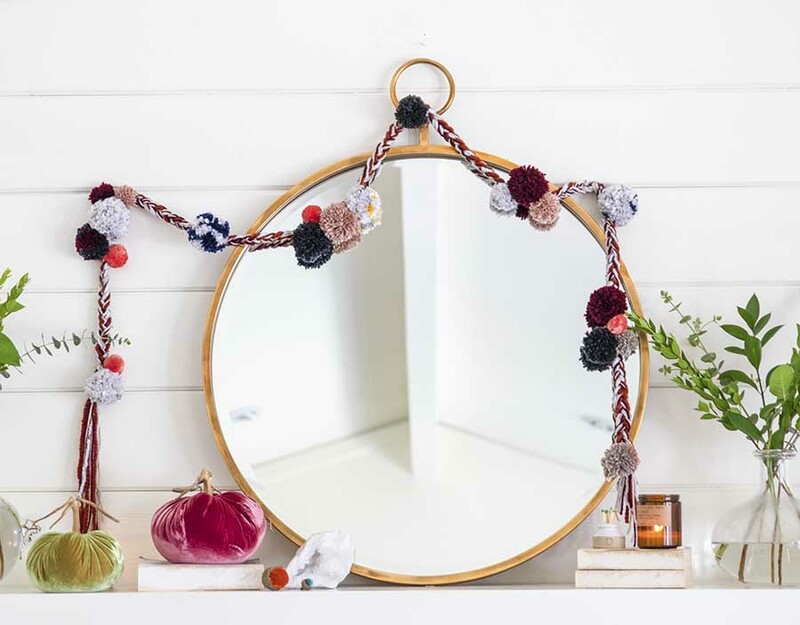 Now, start attaching your pom poms to the braided garland. I chose to gather mine in groupings of 3 or 5, but feel free to intersperse them in any kind of pattern. 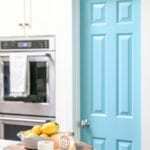 I love how simple and easy this project is. And what a fun way to decorate your mantel, doorway or even a window! I love how my garland adds to my fall mantel. and brings in some subtle colors for fall. 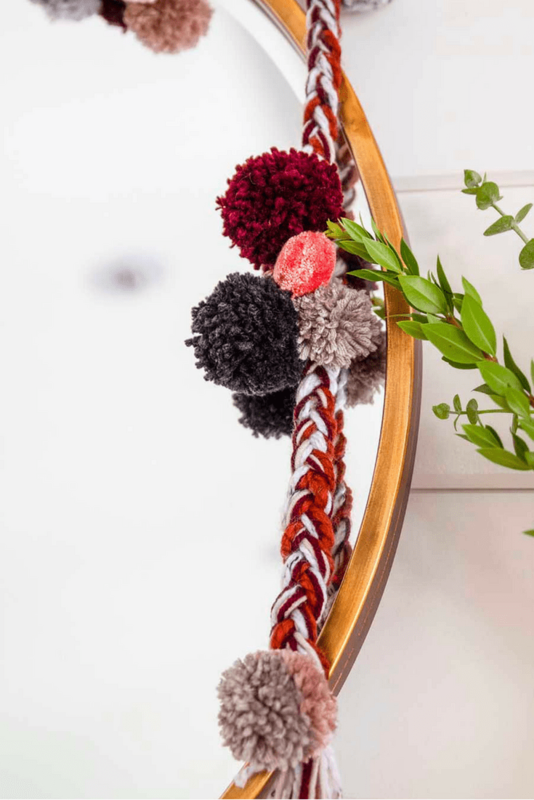 Love the colors you chose for your pom-pom garland! Cute living room! This is so beautiful! And such a gorgeous way to add warm jewel tones for fall! Thanks for being part of this hop, Ashley! My daughter would FLIp for this! 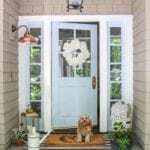 Love the whole vignette! This is so beautiful! Love the colors you chose and the braid idea!! Happy fall! Thank you, Ashley, for this creative inspiration! 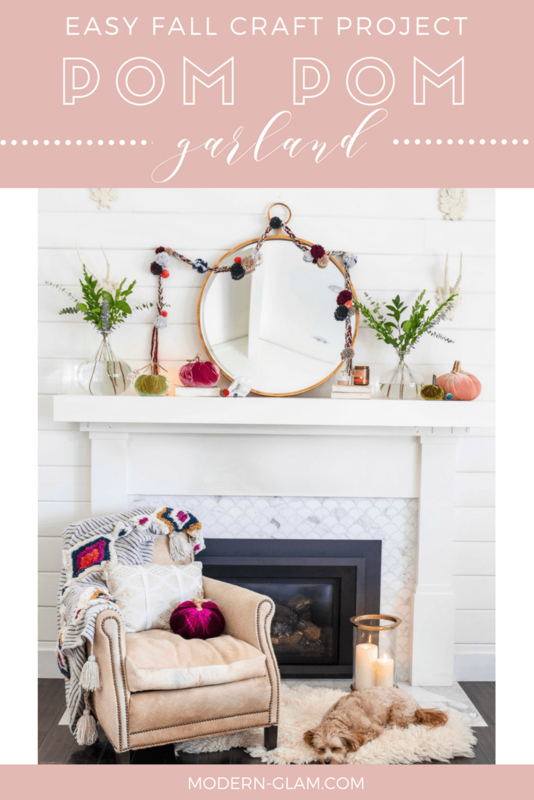 the hubs and I are both lovers of eclectic styling, the traditional seasonal decor is not our taste (we don’t hate it!) and looks out of place in our home. A good portion of our seasonal decorating has always been Diy. I love this garland, the textures, movement, and colors are delightful, I can’t wait to create one like this for the mantel in our den! 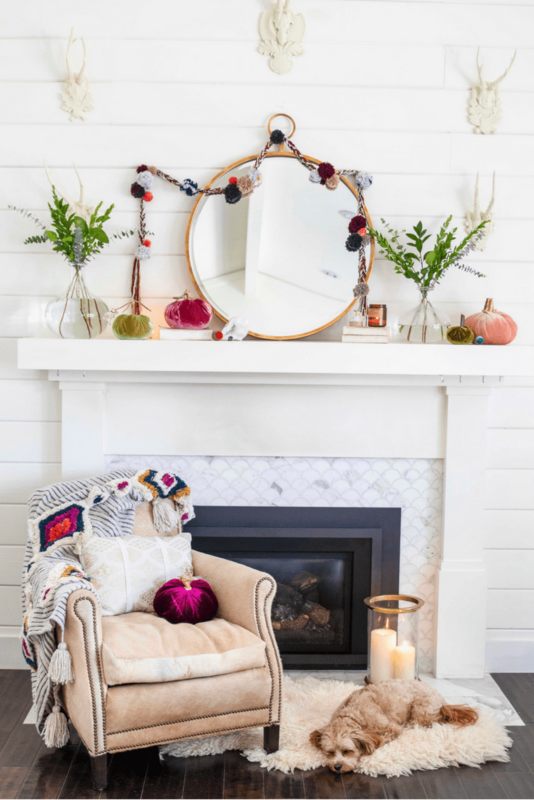 Your mantel is is perfection!